Hello buddies, as we all know that the Fifa World cup Russia 2018 has come to an end and France is the new Fifa world cup champion. In today’s episode am going to share with you the new Fifa 19 mod apk game so that you can still enjoy the Fifa world cup game from your android phones and tablets so that football ginger will not just die off. Fifa 19 [mod dream league classic] is the mod version of Dream League Soccer [DLS]. Which is now available on the google playstore. Take note that this Fifa 19 is not the same as the official Fifa 2019 by EA sports, this is just a free world cup gift for football games fans. Once the official Fifs 2019 is out I will still update it here for my readers so please stay tuned. For now you can enjoy the moded version of the FTS 19. Create new team easily with your own logo. Infact all the paid features are free in this FTS 19 mod. If you wish to see more other features which is not mentioned here I advice you check for the download button below or better watch this video below for better understanding. I hope you enjoyed the video on Fifa 19 for android, So if you like the game and it’s amazing features then let’s go straight to how to download fifa 19 mod game on your android phone. Infact if you are not satisfied with the above mentioned features, I beg you to convince yourself and download it because you won’t regret it after downloading. 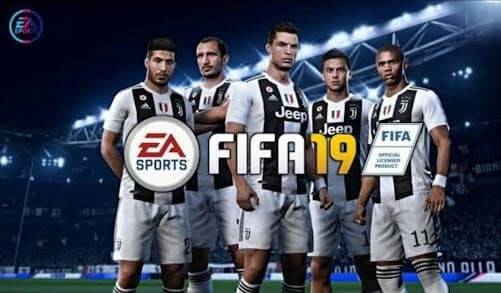 Download the Fifa 19 Apk and Obb file [Download button at the end of the post]. After the download extract the files to get your Apk and Obb file. Now give permission for unknown app to be install through your phone setings. I your phone file manager locate the Android folder inside it is another folder OBB just move the obb file there. At this point you are done. Setup your team by selecting players, kits, and logo. Setup a stadium for your team. Go for training with your new team. Always train your team before going for match everyday. For the control, it’s very easy just three buttons at the right side and one circular button at the left. The right button is for shoot, kick, pass and many more while the big circular button is for controlling the player. If there is anything you find difficult may be while installing the app or anywhere at all in the in the game just leave a comment below and I will give you feedback in a short time.